All images by Nicole Maylen. The Swiss guys have some landscapes, first photo above can be used by the local tourism board as a postcard. 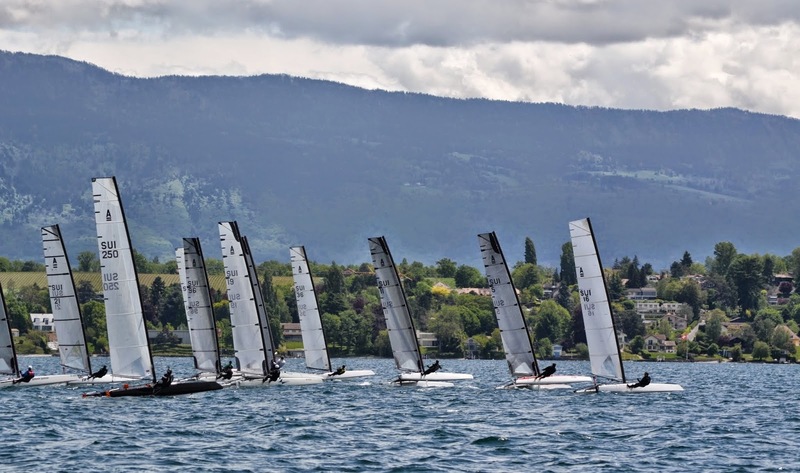 This past weekend the local fleet gathered 19 A-Cats for the Criterium Regatta organized by Club Nautique de Versoix. Sacha Wallmer won with the new Scheurer flying G7, but only one point ahead of Kristoffer Jonsson using standard C boards. Sandro Caviezel also sailed the G7 and ended 3rd. Good training for the new version of the Swiss made Scheurer A-Cat, built by Andy Scheurer Bootwerft AG. 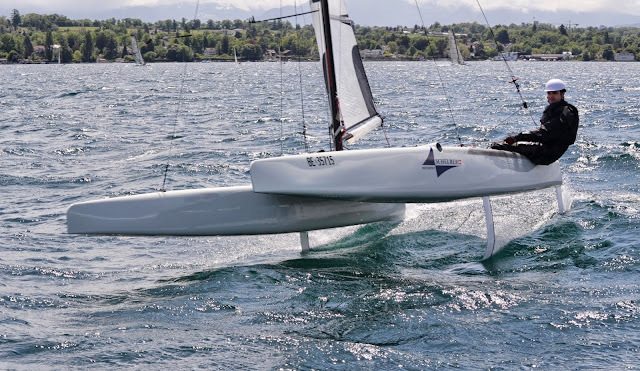 If planets get aligned again, I will continue learning to sail (& race) A-cats at Bordeaux with a G6 provided by Andy and Sandro, really lucky and grateful with them for allowing me the chance to sail at the Euros. Thanks to Dominik Peikert for the info sent to the Class web. 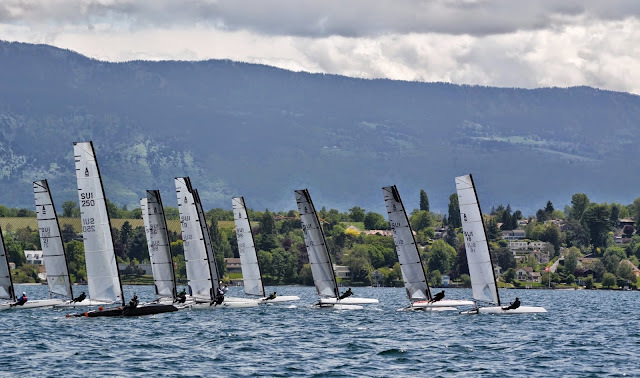 Local fleets are doing an excellent job provinding regatta news, the IACA website is filled with local racing info thanks to the Class members.